Chemical peels have proven to be real breakthroughs in advanced skin care. They provide benefits that are visible and dramatic. 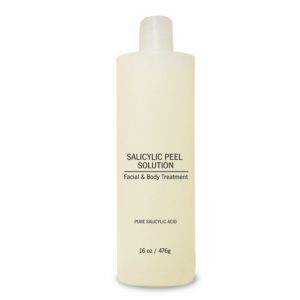 And they are effective for a large range of skin problems — fine wrinkles, age spots, pigmentary abnormalities — and many other age and environmental conditions that can all be improved by the peel. INGREDIENTS—-SD ALCOHOL 40B,HYDROQUINONE,SALICYLIC ACID,RESORCINOL, LACTIC ACID—directions—please refer to product guide book for application instruction.